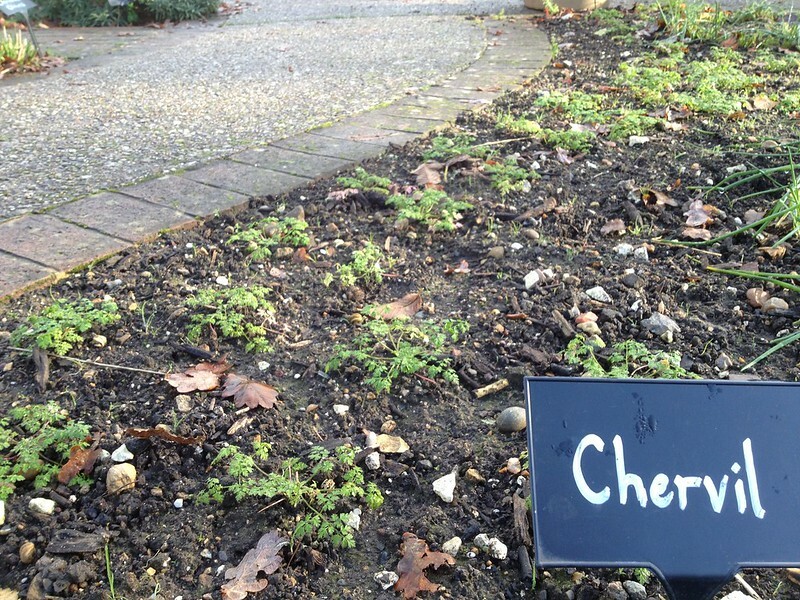 The Herb Garden at Wisley is a lovely little area that opened back in 2003 and where my colleague experiments with planting of old and novel herbs, some of which are used in the restaurants on site (they share some of the recipes online that might be interesting). The area is divided by use of the herbs, and we were there today weeding the "herbs for infusion" area to start with: a display of, among other plants, tea (Camellia sinensis), liquorice (Glycyrrhiza glabra, which needed lifting for the winter) and a range of mints (Mentha spp). Of course there are other conditions that might have impacted on growth, such as the fact that the area my colleague planted her plugs is shadier and more sheltered, but the root disturbance must have had a part, and I will keep that well in mind in the future. 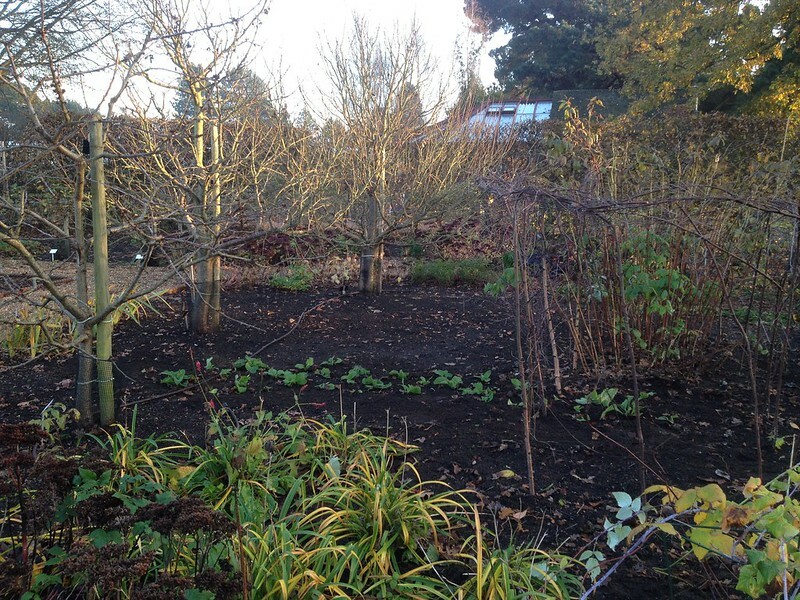 The next area we moved on to weed was covered in self-seeded Digitalis, which I was instructed to remove thoroughly. 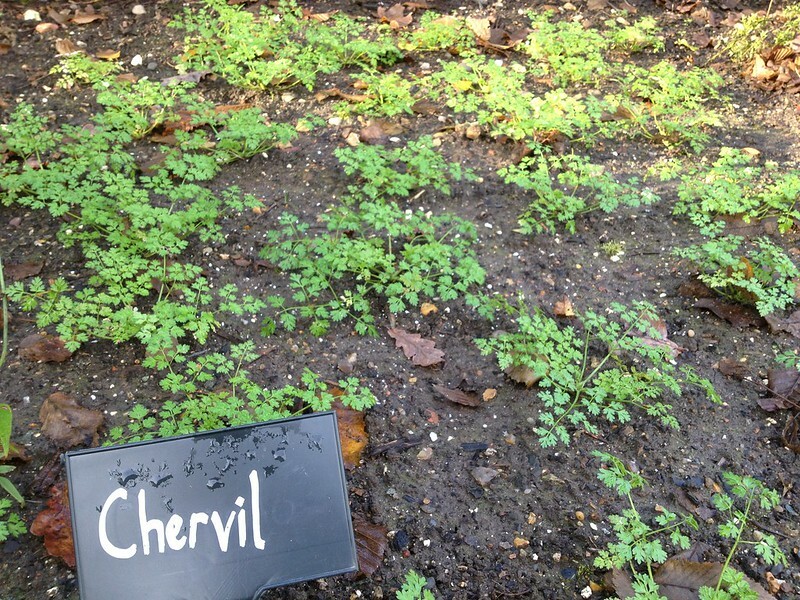 It was while pulling the first plant that it suddenly dawned on me that one of my dilemmas for the new year was solved! I had planned to have foxgloves in my area, but - on a small budget that makes seeds more appealing than fully grown plants, especially as the area is quite big - and with the fact that Digitalis is a biennial, I was wondering how to proceed, and here was the answer. So, with a bit of luck and improvisation, and my colleague's collaboration, I came into possession of some 35 plants, which are now adorning the Cottage Garden, a graceful curve, the first new planting in my area, and oh I love them!